Yes, it is true that Vice President Jejomar Binay was called for a meeting with President Aquino to eliminate the chances for Duterte and Marcos to win in this election. However, the V.P. declined Pnoys pleas ’cause he is for Binay-Marcos of course and Duterte is a friend despite media acts. 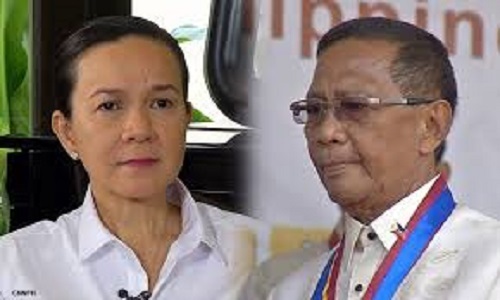 We all know that Binay is the greatest critic of the Pnoy government – and you can probably sense the Best Actress origin of Grace Poe. She now agrees to Binay’s criticisms just to get the sympathy of the people. Get it straight Grace – you are the alternative of the Liberal’s presidential bet. No to Liberal and No to you.